This is a 60 person storm shelter erected in Huntsville, Alabama 2014. The storm shelter is located inside an existing manufacturing plant. Features for this unit include dual doors and stainless steel vent hoods. 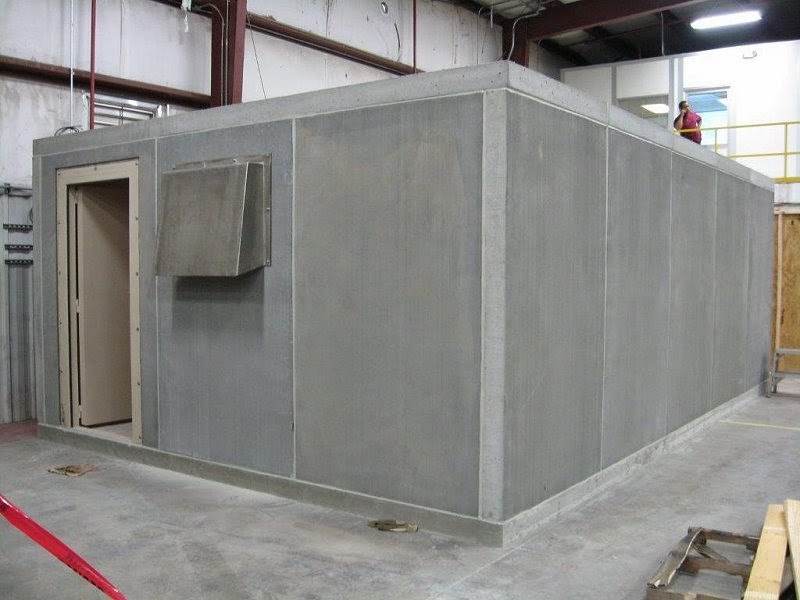 This storm shelter is engineered for an EF5 tornado event. 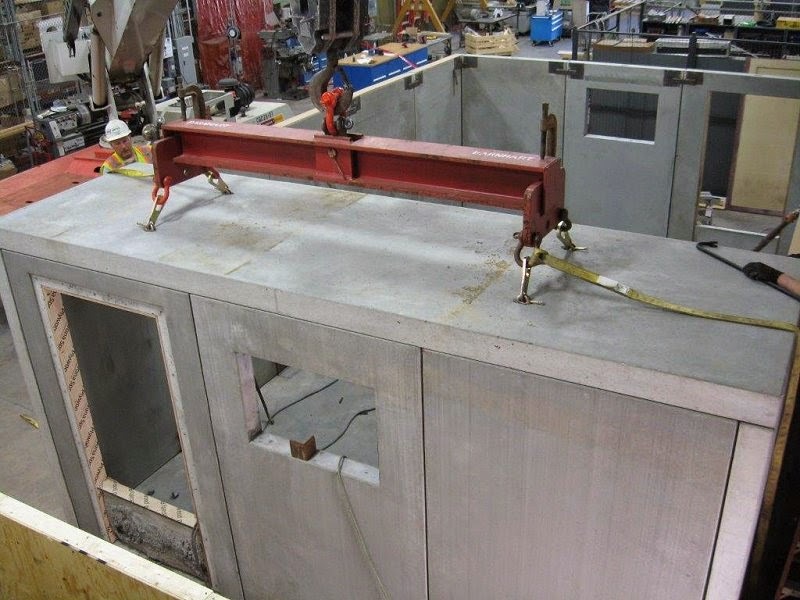 Crest Precast Concrete is a per-qualified vendor approved by PICS and BROWZ system and they require an advanced safety program.